You can learn from everyone – yes, everyone. * There’s a gold nugget of useful information hidden in everyone’s experiences somewhere. If I know you, then you can’t possibly know much. You – my friends and family members – are all so ordinary – clueless, even. Ever thought this? I have. A predictable attitude in one’s teens, I got over it during college, then reverted back to it again in my twenties and thirties. But think about it. That kind of logic is just plain nuts. Einstein, the E=mc² guy – he, no doubt, had friends and family. Michelangelo, the Sistine Chapel guy – I’ll bet he had friends and family. Do you suppose these fellas’ close friends and families thought old Einy and Mikey couldn’t possibly have much of value to share with them? Probably. Were they right? No. Were they behaving oddly? No. This issue of giving the people closest to us no credit for knowing much of anything – at least, not anything we need to know – is not odd or even new. Way before Einstein and Michelangelo – back in the first century – Jesus said, “A prophet is not without honor except in his own town ….” While he wasn’t commending his audience for this shortsightedness, he was stating a generally known fact about human nature. Oh, but that was then. This is NOW. Things are different NOW. We’re far more savvy and enlightened NOW. Today’s biz pundits define an expert as someone in a three-piece suit, carrying a briefcase, 500 miles from home. Get that? He isn’t an expert till he steps off the plane – 500 miles from home. Did he acquire enough knowledge from his flight seatmate to become an expert by the time he deplaned? Did he cram enough for those three hours to become an expert? I don’t think so. He was an expert all along, but no one who knew him personally wanted to think of him as knowing much they’d want to know. It would appear that for a very long time, we humans have behaved as if we have to NOT know someone before we can give them credit for knowing something. Phrased that way, it does seem a bit daft, doesn’t it? Did I not just say this is plain nuts? While every age has its brilliants – like Einstein and Michelangelo – star actors and actresses who add significantly to its culture, every age also has those not-so-brilliant bit players. Every age has those who, though not brilliant, have personally experienced a lot and also learned from others along their way. Your parents and grandparents, aunts and uncles may even be part of this group. But human nature being what it is, heaven forbid that you should listen to them – people you know. Everyone has a gold nugget. Though this has evolved into one of my favorite fact-finding methods for cherry-picking the easy lessons of life, I don’t do it only because I’m pain aversive. I also try to practice learning from everyone because it makes life just plain old richer. Try mining the gold nuggets while listening to others for just a day or two. See if life doesn’t seem a whole lot more interesting and a lot less painful when you practice learning from everyone. Then tell me what you learned: leave a comment. LISTEN to everyone. LEARN from everyone. * Yes, I know I say to be wary of anyone beating you over the head with everyone in the post Everyone does it. It is truly an awfully laaaaarrrge word. In this case, in my humble opinion, it’s warranted. Every one of us has a unique set of experiences, and that means our life story and what we’ve learned from it are also unique – and worth hearing. The silver-spooners get no guarantees. You know about The Haves and The Have-nots. They’re talked about enough. You may even make excuses for yourself because you, through no fault of your own, were born a Have-not. You’ve observed – perhaps with envy and maybe even some resentment – that bunch born with high IQs, excellent bone structure, high metabolism, strong bodies, boundless energy, AND a loving, wealthy family. The Blessed. The born-with-silver-spoons-in-their-mouths bunch: The Haves. And you may have even used this observation to explain to yourself why some people just seem to get along so much better than others. But I’d like to add just a little perspective to that. Yes, many of The Haves do quite well. But have you also noticed that sometimes they make incredibly crummy decisions and live out shabby lives, compared to how they started? The Blessed don’t always stay blessed. The Haves don’t always keep what they have. And have you also noticed that some of the rest of us – The Have-nots – who weren’t blessed with all those inherited resources, seem to do all right for ourselves? In fact, some of us outshine The Blessed and often figure out how to live quite successfully, in spite of being The Ordinary rather than The Blessed. Lots of factors enter into that. (Read Malcolm Gladwell’s Outliers.) But it all starts when we pay attention, when we learn life’s lessons from other people’s experiences. It continues when we work at applying those vicariously learned lessons to our own lives. And there you have it – a really cool success-to-pain ratio. One very ordinary Have-not + very ordinary abilities + pay-attention mindset = one person who gets to live a cool life with less experiential pain than most. Let me be clear: I haven’t been paying attention my whole life. I’ve had my share of what the educational gurus like to call SLEs (significant learning experiences). Big ole mistakes in non-educator-speak. But I’ve also paid a decent amount of attention. These PayAttention! blog posts are a combination of the experienced and the observed. It’s one very ordinary person’s attempt to help others sidestep some of life’s painful experiences and live a successful life. Really. It can be done, regardless of the resources you have – or haven’t – been given. 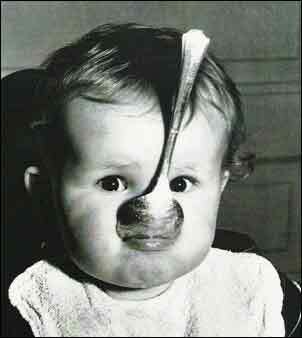 Life – your life – can be lived quite successfully, even if you don’t belong to The Silver Spoon Club. Everything you need to live a happy, productive life is right in front of you, if you have the WILL to just look – to pay attention – and live life accordingly. Is it work? Well, of course. Anything worth having is. Is it do-able? Well, of course. Why else would I bother with this PayAttention! blog? Here’s the question to ask: are you willing to do the necessary pay-attention work to work yourself out of The Have-not category and into The Have category? Do you have the will? Then pay attention.